The World No 1 dispatched of Jeremy Chardy in a straight-sets 7-5, 6-4 win last night. Federer was on top form as he recorded his fourth victory from five meetings with the Frenchman. Normally the Swiss legend would acknowledge a victory by waving to the crowd and clapping his racket before signing autographs and heading for the changing rooms. However, this time he decided to do things a little differently. The 36-year-old brought out his racket and tried to impersonate a conductor. He swung his racket to one side purposefully before doing it to the other and after that, proceeded to launch some balls at the fans. 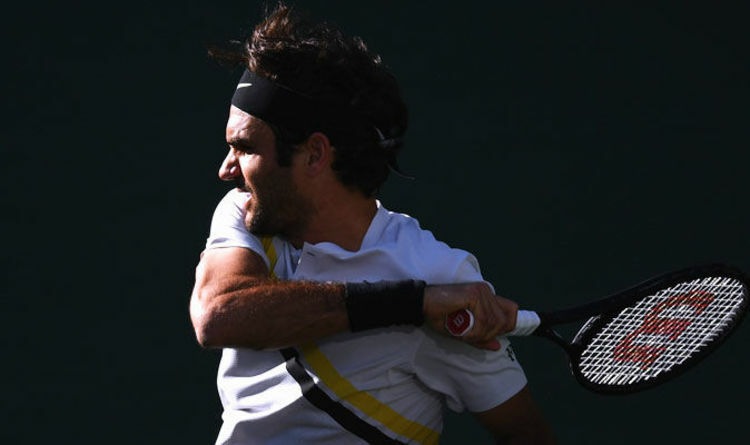 Federer will now face South Korea’s Hyeon Chung in the last eight at Indian Wells. The match will be a repeat of the Australian Open semi-final encounter which Federer won after Chung was forced to retire hurt. The 20-times Grand Slam champion needs to reach the semi-finals in order to retain his No 1 ranking. And should he go all the way at Indian Wells, it would be a record sixth triumph.